Alpine Royal Estates Mobile Home Park in Sun City, a 288-space mobile home park. 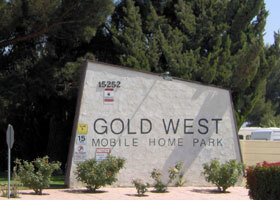 Gold West Mobile Home Park, a 375 space mobile home park with 8,000 S.F. recreation building that was designed, financed and construction by Ludwig Engineering and is still owned and operated by Mr. Ludwig. Cedar Village Mobile Home Park Addition to a 70-space mobile home park in San Bernardino.